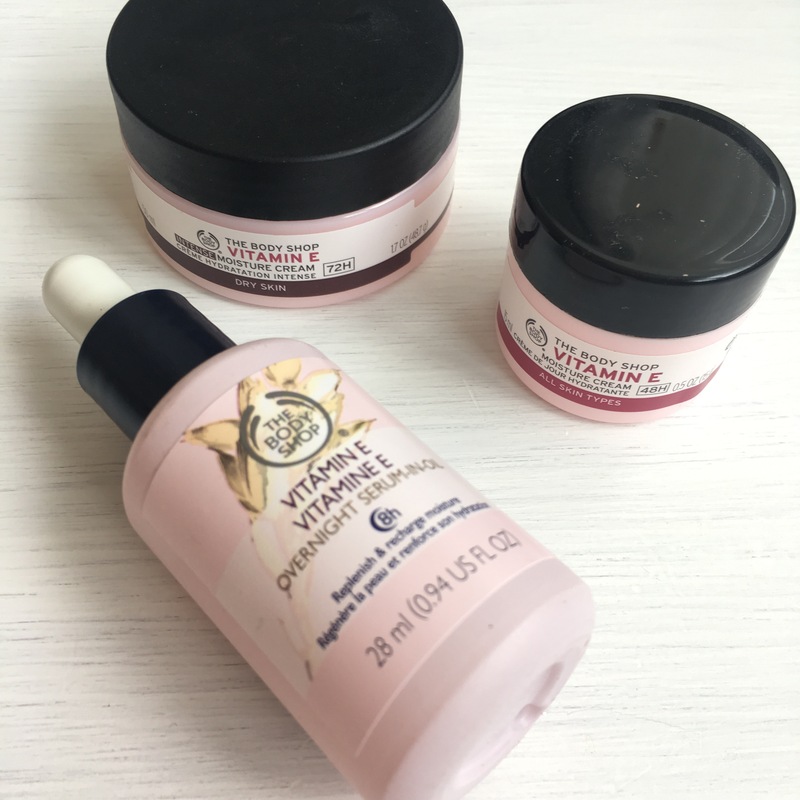 My journey to finding the best skincare products continues and this week I’m going to talk about The Body Shop Vitamin E products. So a little back ground to the Vitamin E range; There is a huge range of products under this line and it is mainly aimed at all skin types and dry skin. As I tend to have dry skin I figured that a hydrating skincare routine would be the best option for me. The 4 products I have are; Overnight Serum Oil, Moisture Cream, Intense Moisture Cream for dry skin and the Hydrating Toner. I have been using these products collectively for over a month and I have really noticed a difference in the feel and look of my skin but I’ll get to that later on in the post. The first product that I use in the morning (after cleansing with the Clinique Take the Day Off Balm) is the hydrating toner. It comes in a 250ml bottle and is £7.50 which I would say is pretty good value for money! I put a few drops of this onto a cotton pad and gently rub it all over my face and down my neck. I’ve never really used a toner so I have nothing to compare it with however it is quite thick in consistency whilst still being very runny. It’s very hard to explain unless you use it! Next I will use the regular moisture cream. I just have sample size of this cream but the full size comes in a choice of 50ml or 100ml. For a 50ml container it is £13 and for 100ml it is £19 which is maybe hitting the pricier side for a moisturiser but I personally really like it and will continue to buy this. Although aimed at all skin types I find this to be very moisturising yet lightweight and it doesn’t take too long to dry in or leave your face feeling sticky. Due to it being so lightweight and non-sticky I find it’s best to use before starting my make up routine. Lets now jump to the evening side of my skin care routine using these products. Again, I’ll use the Clinique Take the Day Off Balm to remove all of my make up and follow up with the hydrating toner. 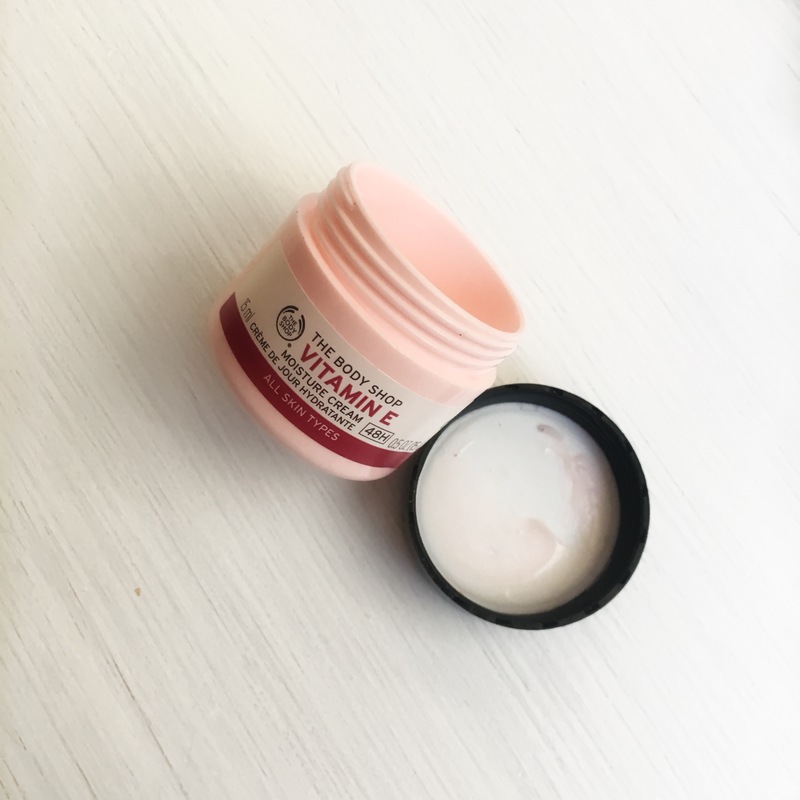 Now that my skin is completely clean and dry I’ll put on a generous coating of the Intense Moisture Cream. This one is completely aimed at dry skin and I can definitely see why. 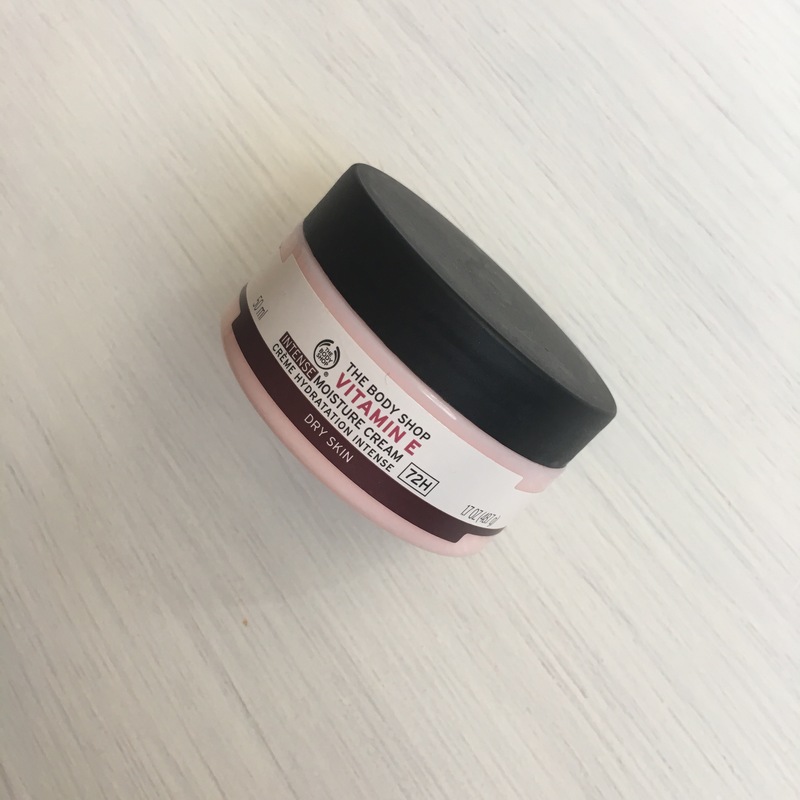 It is a very thick consistency and you can instantly feel the moisture being absorbed into your skin. It has definitely become a holy grail product for me. I tried using this in the morning however I found it just a little bit too thick to have under make up so I’ve stuck to using it before bed and it works wonders. It comes in a 50ml container and will set you back £14 which again is on the pricier side but if you have very dry skin it is 100% worth the money. The final thing I use is the Vitamin E Overnight Serum-in-Oil. This product “combines the power of a serum and an oil, to replenish and recharge skin with moisture overnight”. This description could not be more true! I’ve never used an oil before until this one and I am so glad I tried it. It’s £16 for a 28ml bottle and since I’ve never used an oil before I’m not sure if this is cheap or pricey. 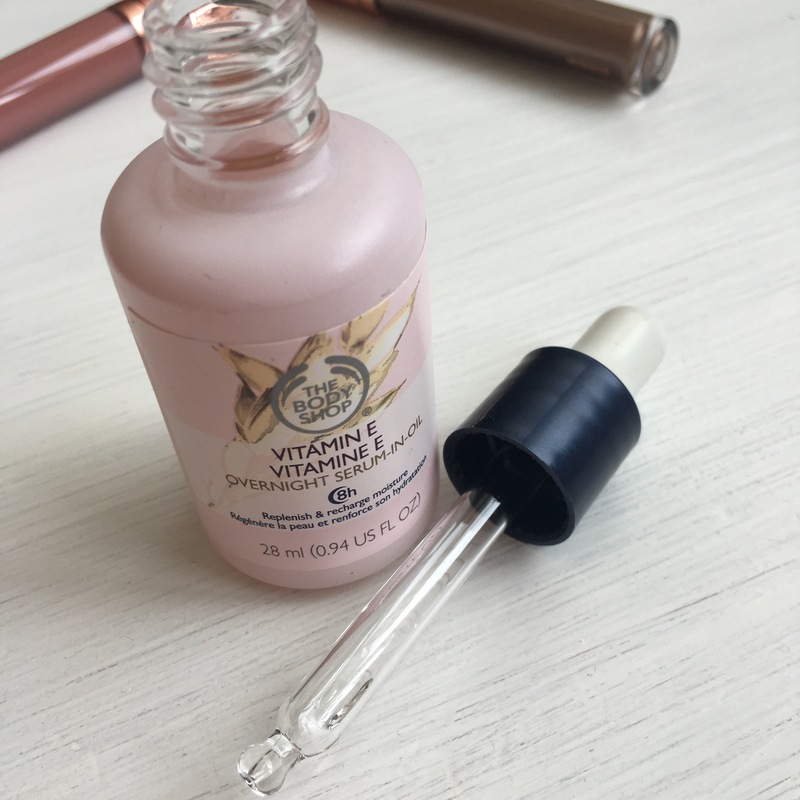 A little definitely goes a long way with this product so I feel like it will last me a fair amount of time, I can’t see myself running out anytime soon that’s for sure! My overall verdict of the Vitamin E range is I love it. It has left my skin feeling much more hydrating and less tired looking. I’ve definitely been having a lot more ‘no make up days’ because I don’t have to worry about flaky dry skin. (Gross I know!) Nothing that I have tried from the range has a particular smell which I think is quite nice because a lot of products I own are quite strongly scented and sometimes you just don’t want that! The Body Shop isn’t necessarily the cheapest place to head to get your skincare products but I can assure you that if you have problematic skin they will have a solution for you! They have so many different ranges for different skin types and they have started their face masks too which is amazing! That’s all from me for today! Hope you have enjoyed this post and I’ll see you again on Wednesday.